Didn’t have a problem with clearance or space at all. Just take off the one 7mm hex screw holding on the plastic shield for extra flexibility. V-Brace is still tight on the car! Last edited by rovert604; Wed, Jan-10-2018 at 02:47:14 AM. There's room and possible..took a pic for you guys. You can take the guards and v brace if needed not really necessary. Cool. Never looked at it from that angle. Thanks for the pic! Pretty cool. I usually take half the car apart for whatever I'm doing and combine jobs, so never looked at it from such a simple perspective. Also this is how high I needed that corner to get decent leverage to torque down the front diff bolt. A reminder...Just like the first post, have safety as your top priority when under the car. 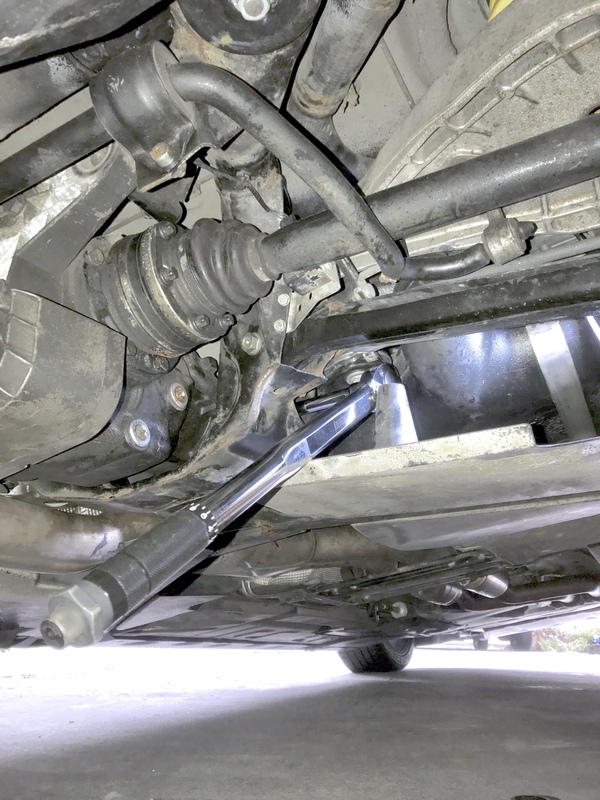 Clarification on the torque for these rear bolts? This thread says 61 ft/lbs however others are stating 15 ft/lbs plus a 90 degree turn. PDF above states 15 ft/lbs and the 90 degree turn. I think this thread should be updated accordingly as many folks will see it and choose 61 without thinking. There are 2 camps. 1) use 15 and then 90 degrees, 2) get to ~60 right away. End torque is about the same. All times are GMT. The time now is 09:58:39 PM.